Newcomer Family Obituaries - Kathleen Marie 'Kathy' Shartzer 1938 - 2019 - Newcomer Cremations, Funerals & Receptions. 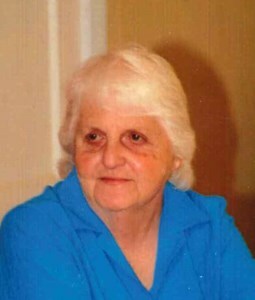 Kathleen Marie Shartzer, "Kathy", age 80 of Uniontown, Ohio, died at Akron City Hospital on February 5, 2019. She was born in Akron on June 25, 1938, the daughter of the late Joseph and Frances (nee Bechter) Wehrlin. Kathy was a waitress at Steinly's Restaurant in Akron for many years. She loved to play bingo and play cards. Survivors include her children, Mark Shartzer, Victoria (Alan) Cohen, Pamella (Ricky) Williams, and Craig (Karen) Shartzer; her 12 grandchildren and 15 great-grandchildren. Kathleen is also survived by her siblings, Joseph Wehrlin, Frances Trogden, Leo (Doris) Wehrlin, Marie (Steve) Schueller, Dave (Linda) Wehrlin, and Danny (Robin) Wehrlin, and many nieces, nephews, cousins, and a special friend, Mary Lee. Other than her parents, Kathy was preceded in death by her husband Ewart Shartzer on November 27, 1998, they were united in marriage on August 30, 1958; and her sister, Dolores Adkins. Funeral services will be held at Little Flower Catholic Parish, 2040 Diamond Street NE, Canton, Ohio 44721, on Saturday, February 9, 2019 at 11:00 AM, where Father Leo Wehrlin will celebrate his aunt's life. Family and friends may visit at Newcomer Funeral Home, 131 North Canton Road, Akron, on Friday, February 8, 2019 from 5:00 - 8:00 PM. Burial will take place, with committal services, at Hillside Memorial Park Chapel on Monday, February 11, 2019 at 10:00 AM. Add your memories to the guest book of Kathleen Shartzer. Kathy was kind, caring and funny. Their was always a good time to be had when Kathy was involved. My heart is heavy for her family. What a huge loss. Sending my deepest condolences . Was sorry to learn of the passing of your Mom. She and I go back to grade school days. Even though thru the years we didn't talk as often as we should have, I did think of her. Just spoke of her a few weeks ago telling how we would go to the movie and we would walk to the railroad tracks on Baird St and we would then go our own way home. Can you imagine doing that today. I know how much she loved all of you. Rest in peace my friend.